I wouldn’t﻿ mind ordering a couple of these. 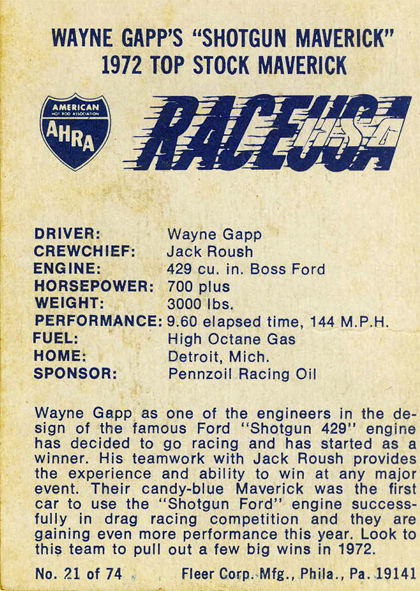 Too bad they couldn’t spell Roush’s name right. 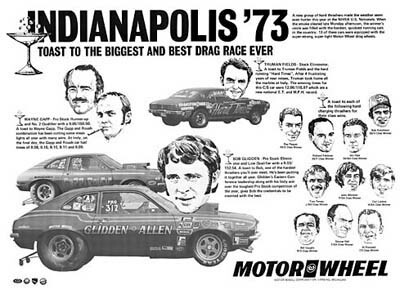 A rat motored Maverick? Hmmm…. See what the rules drove people to? 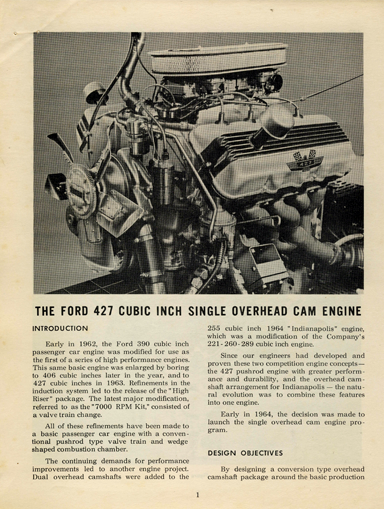 This is rumored to have been a 427. 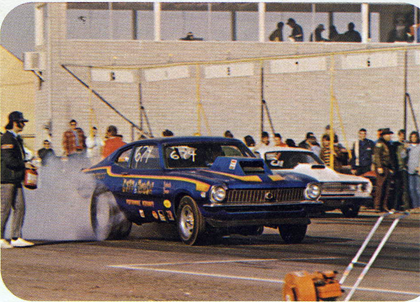 Agent 1320 spotted Gapp & Roush in a motel parking lot the day after Pomona and snapped this flick of the Ford boys putting an honest-to-goodness big block Chevy between the rails of their 4-door Maverick. 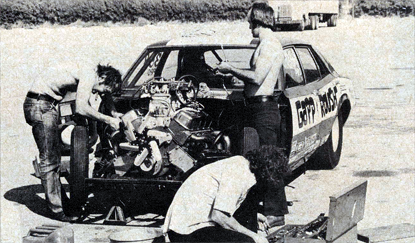 After track tests were delayed first by a water leak, then bent pushrods, and finally five straight days of rain (ending LA’s longest dry spell in 20 years), G & R decided to call it quits and returned home to ready their new Pinto for Florida. 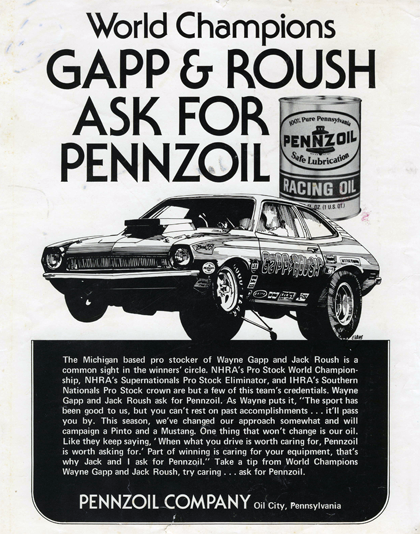 Gapp said they’d renew their rat motor wringout after the IHRA race in Miami. 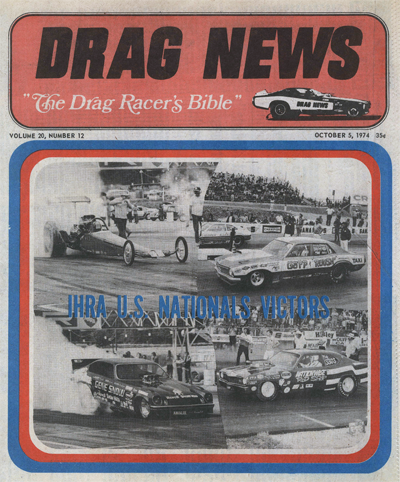 Winners of the IHRA U.S. Nationals in 1974. 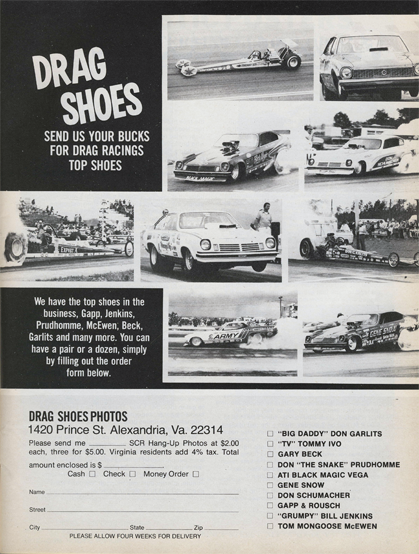 Strange that the NHRA and IHRA had a race with the same name. 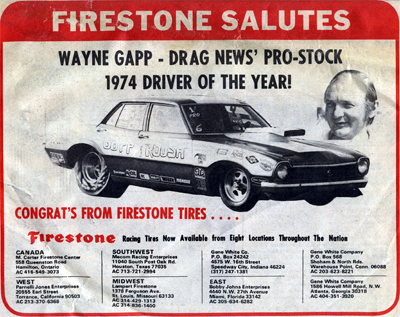 From late 1973 to late 1975 WG was on a roll. Won this race.